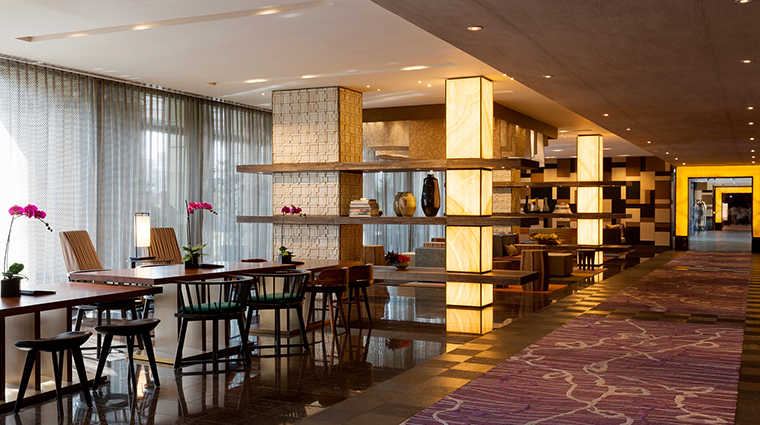 Japanese culinary extraordinaire Nobu Matsuhisa's culinary empire is known all over the world and Nobu Hotel Manila aims to further the reach of the master chef. 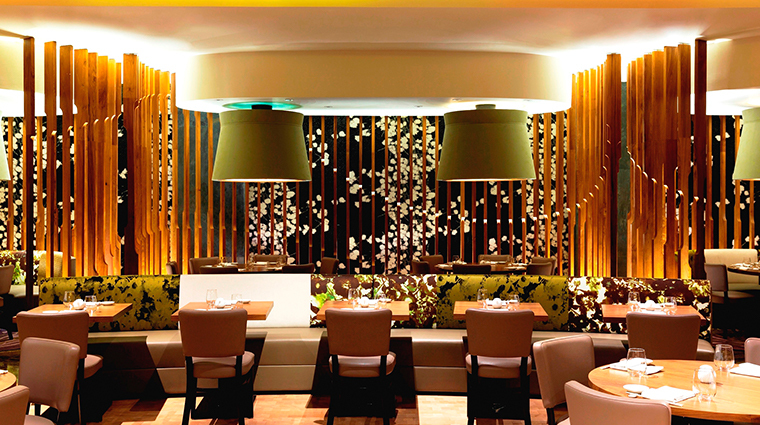 Famed for his delectable and unparalleled Japanese-Peruvian cuisine, Matsuhisa has expanded his hospitality portfolio to include his namesake hotels. Actor Robert de Niro was such a huge fan of the acclaimed chef that he waited more than five years before Matsuhisa agreed to be his business partner. And so, with Hollywood producer Meir Teper, the three opened the very first Nobu Hotel in Las Vegas in 2013. 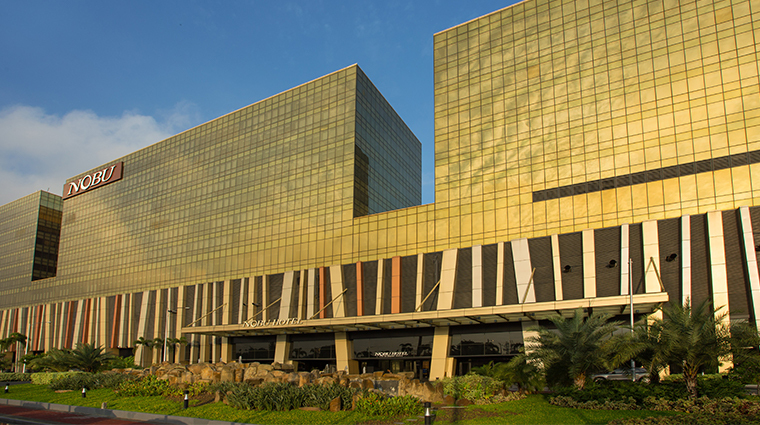 Just two years later, they opened the first Nobu hotel in Asia inside the massive casino-resort property City of Dreams Manila. 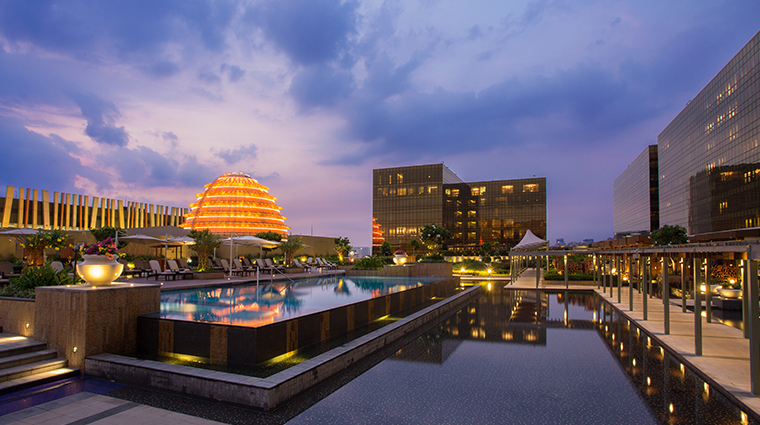 The Japanese-inspired aesthetic permeates throughout the stylish hotel, which happens to house not only a Nobu restaurant, but a spa and an outdoor pool, too. Chef Matsuhisa’s Japanese roots and his travels across North and South America have inspired him to create innovative Japanese fusion dishes. 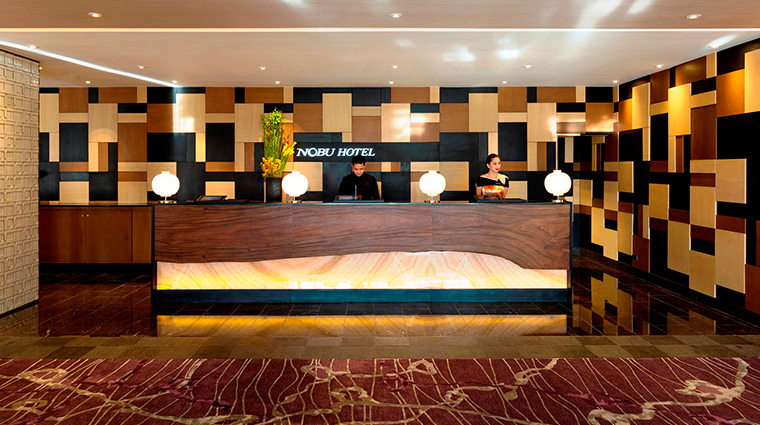 A fantastic outpost of his famous restaurant brand can be found at the Nobu Hotel Manila. 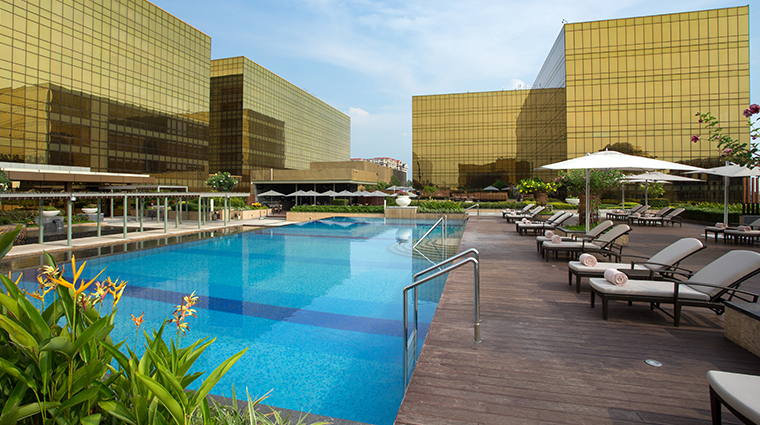 Nobu Hotel guests have access to all that City of Dreams Manila has to offer, including a state-of-the-art casino with 380 gaming tables and 1,700 slot machines. 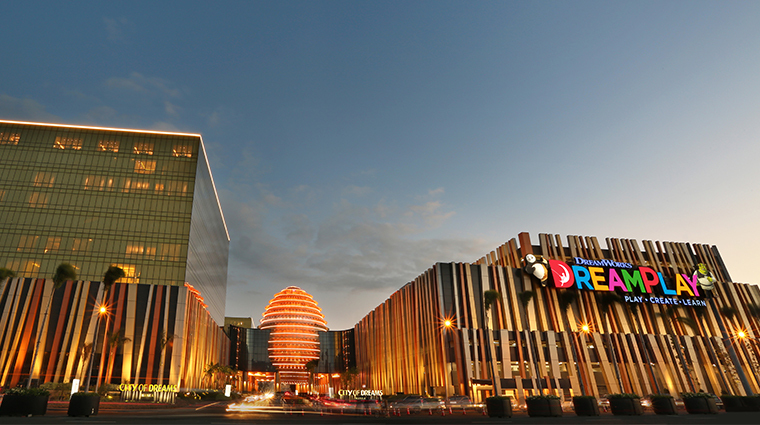 The Shops at the Boulevard is also just a stroll away from the hip hotel and here shoppers can hit high-end luxury brands. Families will want to head to DreamPlay by DreamWorks. The DreamWorks-inspired interactive play space caters to kids and children at heart who can spend hours exploring the numerous activities inspired by movies like Kung Fu Panda, Shrek, How to Train Your Dragon and Trolls. For a relaxing experience filled with personalized pampering, visit Nobu Fitness & Spa. Signature Nobu treatments include Nobu Rakuen, an invigorating foot bath ritual and massage, and Juan's Hilot Pride, which features the traditional Filipino massage technique. 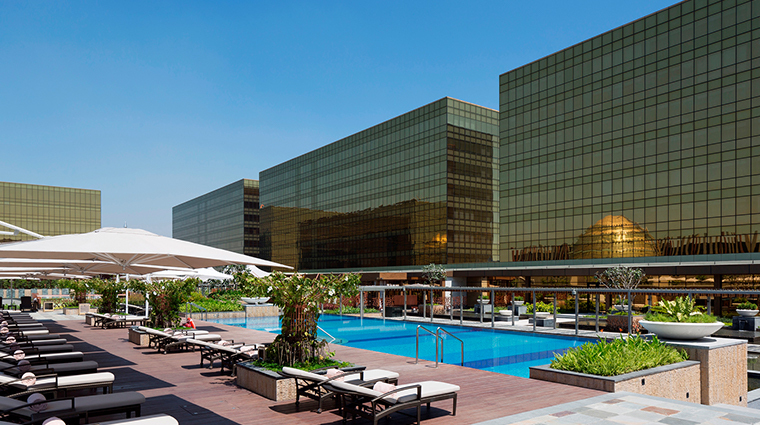 Nobu Hotel Manila was designed by the Rockwell Group, the same firm that designed many Nobu restaurants around the world as well as Nobu hotels in Las Vegas and Miami. Chef Matsuhisa has more than 35 iconic restaurants around the world and his restaurants have earned him recognition worldwide. 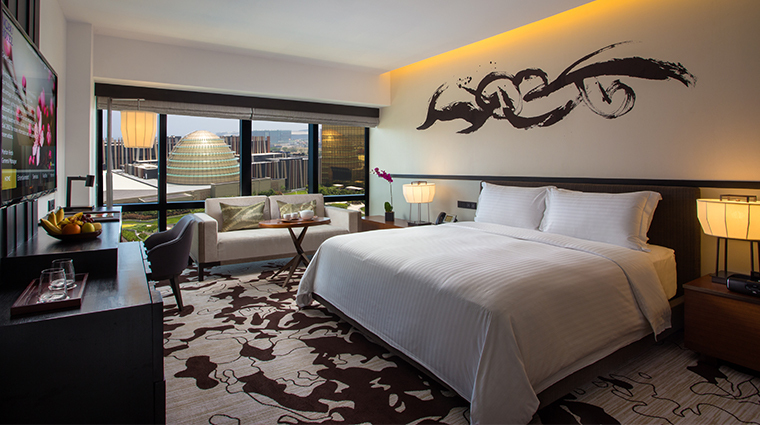 Some rooms feature giant custom calligraphy art above beds. The pieces are meant to represent chi, the flow of energy. 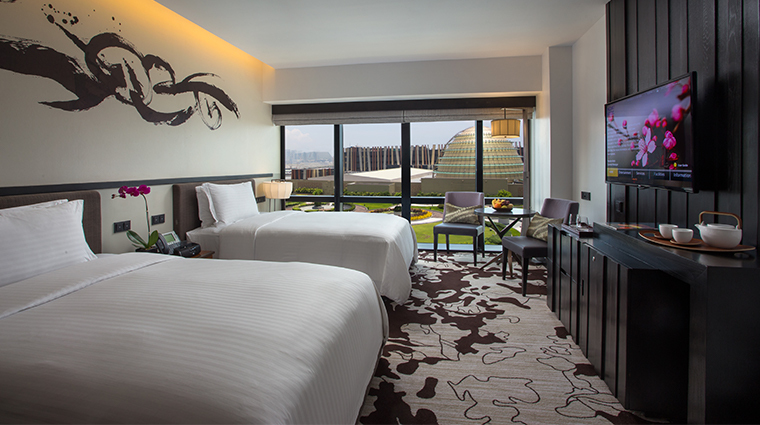 All guests rooms feature comfortable Simmons pillow-top mattresses and are equipped with computerized in-room safes, smart TVs, individual climate control settings, audio docking stations, custom bathrobes and Japanese-inspired hotel slippers. 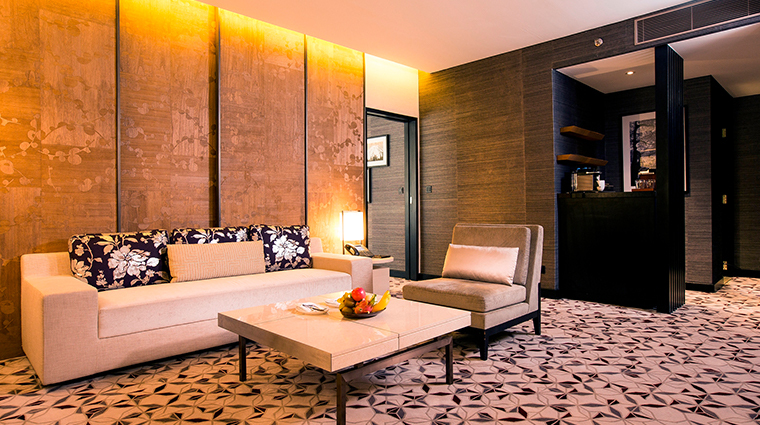 The Nobu Suite is 732 square feet of pure elegance and Japanese efficiency. 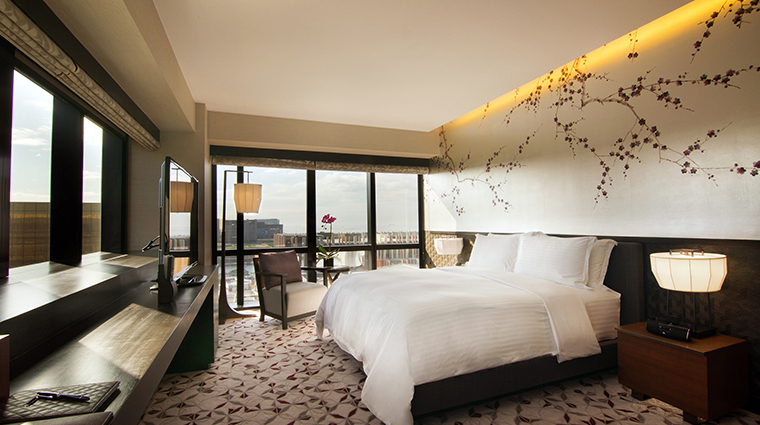 The white king-sized bed is the star of the irresistibly inviting bedroom, a haven of relaxation. The opulent bathroom has a stand-alone marble bathtub in the middle so you can linger in the bath and make use of the luxe Natura Bissé products. 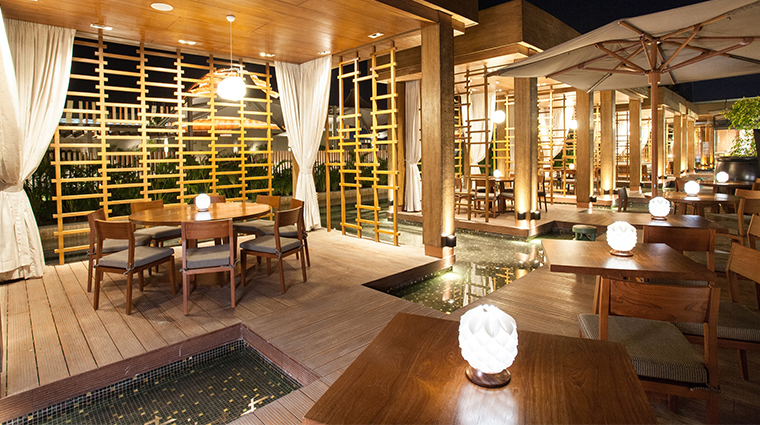 The Manila branch of Nobu Restaurant boasts the same characteristics that propelled the very first Nobu to fame: exquisite Japanese-Peruvian flavors. 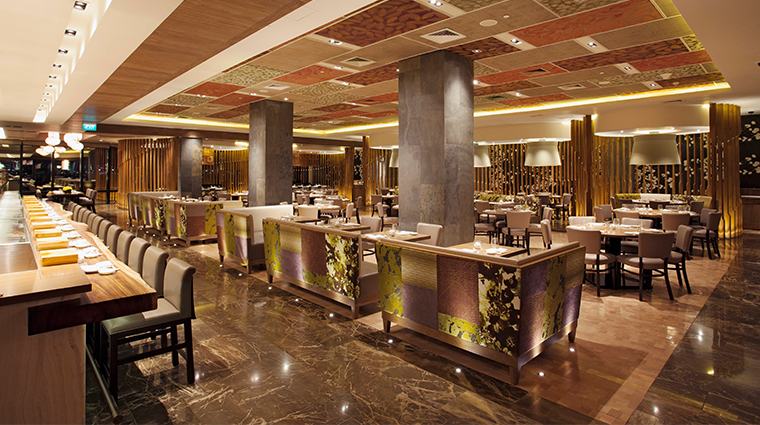 Fans of chef Nobu's cuisine will be delighted to see signature dishes available here in Manila, including black cod miso, whitefish tiradito (Peruvian-style sashimi), king crab tempura amazu ponzu, yellowtail sashimi with jalapeno and beef tobanyaki, among other highly favored classics. You do not even have to leave your room to get a taste of Nobu the restaurant any time of the day — the 24-hour room service menu was designed by Nobu chefs.